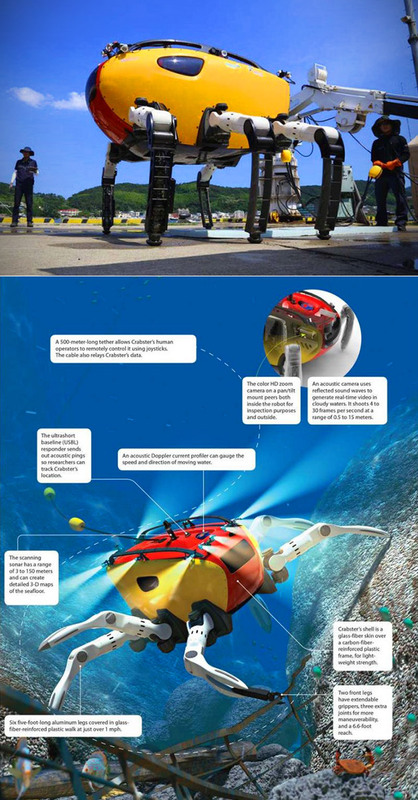 Created by the Korean Institute of Ocean Science and Technology (KIOST), the Crabster CR200 robot is designed to inspect seabeds, pipelines and shipwrecks. 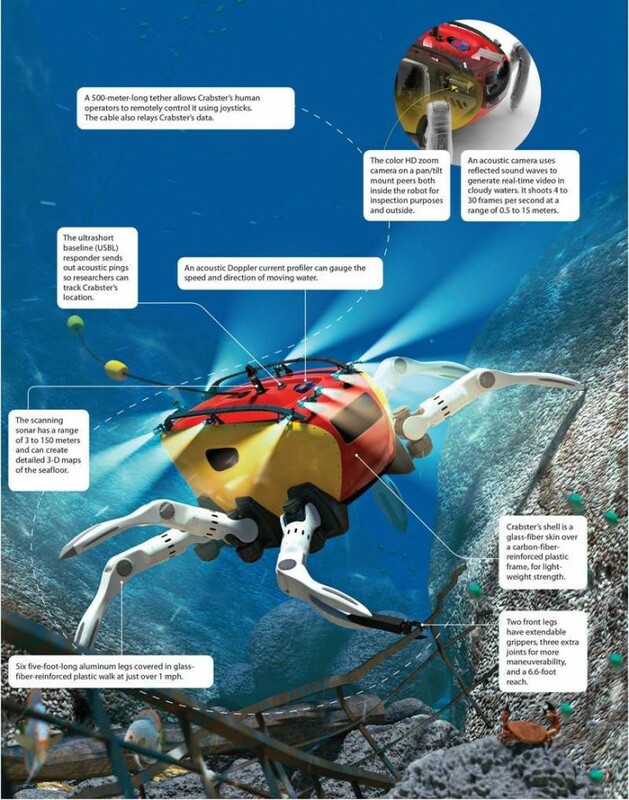 Instead of propellers, this underwater submarine robot comes equipped with six legs for easy maneuverability around obstacles – the front two legs can be fitted with manipulators for grasping objects. Continue reading for two more videos and additional information. Click here for more pictures. “Clearly the Crabster is a fairly complicated bit of kit. It takes four people to remotely operate the robot. One to pilot it, one to work the manipulators and cameras, one to plot its course and provide navigation information, and one to monitor the scanning sonar and other sensors. As the Crabster is permanently tethered to a power source on the mothership, the robot can remain on the sea floor for days at a time,” reports Diseno-Art.